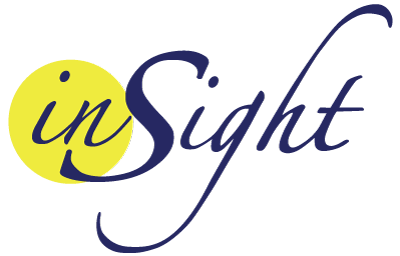 Insight Treatment is an institution dedicated to the recovery of adolescents from substance abuse. They provide support to teenagers and their families through group and individual therapies, counseling, summer programs, among other services. This institution is one of the first drug and alcohol outpatient treatment programs for teens in Los Angeles. It has evolved into more than just a teen drug rehabilitation program. Insight’s team specializes in addressing chemical dependency, self-harm, dual-diagnosis/co-occurring disorders, along with behavioral and emotional problems in teens. Recovery centers are amongst the most competitive topics on the internet, especially in California and Los Angeles area. Keywords related to such queries have an extremely high volume and it’s a challenge to rank on the first pages of search engines. Thus, Insight Treatment had an important difficulty to make a difference in a highly demanded market. WordPress was the platform of choice to develop Insight treatment brand new website insighttreatment.com. It’s ease of use and SEO tools made it ideal for the site’s needs of constant blog posting and continuing promotion of the services published in the sites. Websites Depot is a Premier Google Partner company that complies with the most up to date and recommended practices in order to achieve SEO and PPC success. Insight Treatment optimization plan was customized based on the unique opportunities we identified for it. The main goal was to get qualified traffic and visitors and convert them to leads, calls, and eventually, sales. We adapt the strategy for Insight Treatment every month, so we can dedicate our time to the highest yielding activities. By client’s request, we also included Insight Treatment in a list of 35 directories selected by them. This special service is part of Websites Depot’s customized marketing strategies, and leads additional traffic to the website. For quicker results, we also implement paid advertising solutions, always with the client’s previous agreement. To get the most accurate keywords and keyword phrases, we analyze the most popular keywords across major search engines and studied the competing websites using top-notch paid tools and our 10 years experience. The main SEO objective for Insight Treatment was to place their website within the top positions for most of their keywords on all major search engines within 3-9 months of project initiation. Less competitive keywords provided results in 60 days or less. The most competitive keywords may take up to 8-10 months to get long term results. Within those periods of time (and even earlier) Insight treatment website reached the first pages of search engines and keeps on getting high rankings in the high competition category of addiction rehab centers.